With the end of the year, I thought it would be fun to take a look back and see which sections were the most popular on the website and at the blogs during 2011. The results were actually surpising to me! Here is our top 10 list of most visited sections. Calling All Tall People for a New TV Show! Discount will be taken when you place all items in the cart. Hurry offer ends 12/30. It’s Tall Tuesday so that means it’s time to link up your best blog post of the week. Christmas is coming…as in, it’s almost here! Undoubtedly you have a few items left on your to-buy list. My solution for last minute gifts is pretty simple: gift cards. I know gift cards seem impersonal and it’s more fun to find that perfect gift yourself. You envision the recipient’s grateful expression as they tell you they can’t believe you knew exactly what to buy them (and ideally it’s in a crowded room so everyone can see just how awesome you are). But the truth about gift cards is, they are [how shall I put it] necessary! Gift cards especially come in handy when there is a tall gal or guy on your Christmas list. I love gifts (who doesn’t), but being a tall girl myself I’ve definitely experienced the disappointment when holding up that sweater and realizing the sleeves aren’t even going to reach your wrist. Or opening that pair of jeans and knowing that though the 80s are coming back, there is no way you could pull off those high waters. Then comes the awkward part of either admitting it doesn’t fit or feigning adoration of the gift. I’m guessing that little scenario isn’t the one you’ve been envisioning. So it’s okay—even preferred—to play it safe with a gift card! You can still personalize it by getting one from the perfect store where you know your tall friend or family member can find plenty of tall clothing to suit her needs. And seriously, you’re giving the gift of guilt-free shopping! Is it me, or is that one of the best gifts of all?! So go ahead, purchase that gift card and have no fear—you’ll see that look of appreciation and you’ll know that it’s real! 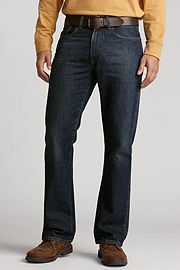 This pair of Hudson Jeans with a 37 Inseam are designed for the athletic build. 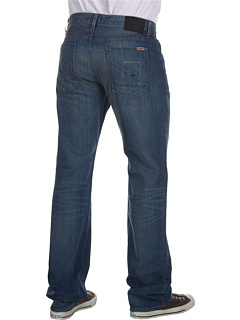 They have a relaxed, straight leg style and are a medium blue wash with slight whiskering. Waists sizes are 29″ – 40″ – so you tall, thin guys can wear them too! Get free shipping both ways, so if you aren’t sure of the size, get two pairs and return the one that doesn’t fit for free. Watch the video above for more views. 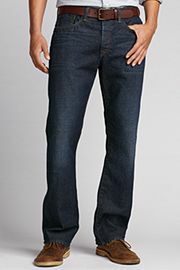 Check out more men’s 37 Inseam Jeans. Here is the latest Personal Shopper Request:“Krista, I stumbled across your website after learning today that Lands’ End no longer offers the men’s long-rise jeans and plain front chinos that I have been buying for my husband for at least 20 years. I’m hoping you can help me find long-rise jeans and/or chinos in size 35″ (or 36″) waist and 33″ inseam. My husband is 69 years old, 6’4″ tall and weighs about 160 lbs. He has a long torso, thus the need for the long-rise. 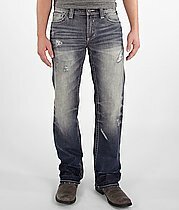 He prefers his jeans in medium to dark blue colors, and is not fond of “distressed” denim with the bleached-in wear marks. We have been spending $50 to $70 for his pants at Lands End, but would spend more if necessary. He lives most of his life in jeans or chinos, so I will be very grateful for any suggestions. Thank you for your efforts on our behalf. – Jackie”Jackie,It’s extremely frustrating when a product you have been using for years, suddenly is discontinued. I feel your pain. I had been purchasing custom made women’s dress shirts from Lands’ End and suddenly one day, they quit selling them. I think you will find good luck with the following items from Eddie Bauer. You will have to go up to a 36″ waist. 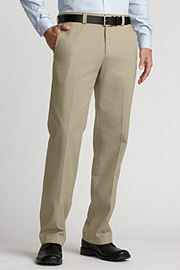 Eddie Bauer – Classic Fit Wrinkle Free Casual Chino Pants – Long Rise, 36″ Waist, Choose with our without cuffs and you can get them in a 33″ inseam. Another option would be to create a pair of custom made jeans. I got a personal shopping request via twitter. I can definately help! Here are some suggestions on this hard to find size. 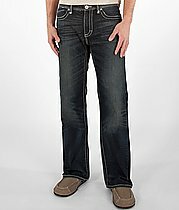 Here’s a bunch more jeans in 28 waist by 34 inseam at Buckle. 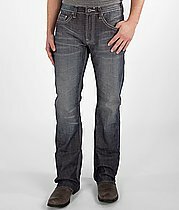 Zappos allows you to search by waist and inseam and there’s lots 32″ x 34″ inseam jeans for men here..
We’re cheesey over here. 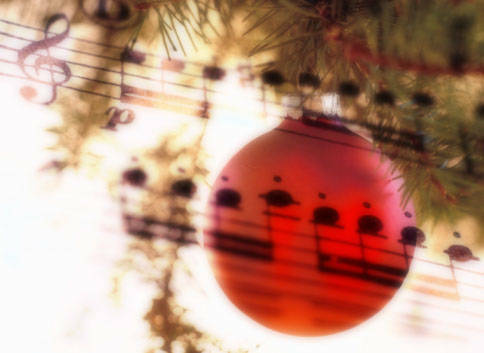 We came up with our top 5 favorite holiday playlist for Tall Clothing Mall. I received the following email from Beth who was trying to find a coat for her tall, thin son with extra long sleeves. She has emailed Columbia for more info and found them to be very helpful.